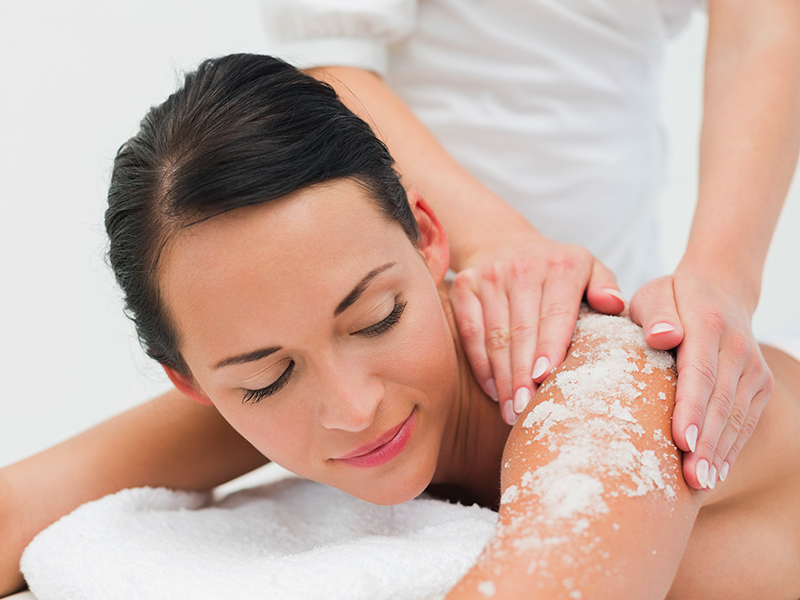 Body Scrub is a massage performed with a cream composed of a granular substance, which allows a light friction of the skin in order to remove the dead cells from its surface. This treatment results in a cleansing that rejuvenate the skin, providing a luminous look and a soft touch. In addition to its rejuvenating capabilities, Body Scrub is also used in the preparation of some treatments, as it prepares the skin to absorb easier the various active ingredients. Application: active ingredient a granular substance applied through a massage.